In a previous article on the Best Web Hosting for Photographers and WordPress, we recommended Siteground as an ideal hosting choice. However, even with all that said – sometimes a photographer may outgrow a hosting company like Siteground. For example, Photocrati’s Scott, was using Dreamhost (similar hosting style to SiteGround) for many years. Eventually his grew to the point where consistent traffic continually crashed the server. So Scott had to make a conscious decision to change hosts, and turned to more advanced options that require some knowledge of how servers function and how to maintain them. Since making the move, new hosting styles have emerged from the abyss of infinite web hosting options. 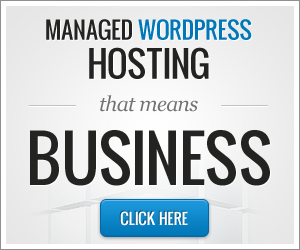 Termed: Managed WordPress Hosting. Basically, these hosting platforms are cloud-esq virtual private servers that are managed entirely by the hosting company for the utmost speed, reliability and performance. In addition, they’re optimized specifically for WordPress so problems should not exists. In the Managed WordPress Hosting space, there are two companies that stand out above them all. We have had the fortunate opportunity to take a deeper look at both and feel comfortable, like we do with Bluehost, to recommend either for web hosting for photographers. 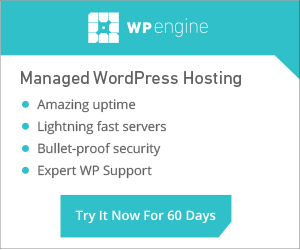 It is safe to say that WP Engine is the most popular management WordPress hosting solution on the market. In fact, soon enough they could become the most popular advanced web hosting for photographers. They’re used by some of the most familiar technology brands around, like FourSquare and HTC. WP Engine prides itself on speed, security and scalability. Due to the cloud style hosting, the speed of a website hosted with WP Engine will be lightning fast. The platform has been designed specifically for WordPress driven websites, so downtime should be minimal if not eliminated completely. The developers at WP Engine have taken every security precaution they can to keep their customer’s websites safe, and has made it clear that they use a third-party security company to handle testing. It is unclear, however, if they have the third-party handle regular scans or hack restoration or whether they do it in-house. The nature of a cloud infrastructure lets WP Engine easily increase their storage limit with a few clicks. Of course, with more storage comes more fees. There are a couple of WP Engine features that are worth pointing out. The first is the ability to connect an Amazon S3 account for scalability without increasing your WP Engine plan. Another feature is the option for using WP Engine’s CDN (content delivery network) so bigger files, and photographs are delivered from another cloud server for increased speed and durability. A really neat feature is the curated plugins list that WP Engine provides. Inside are plugins that WP Engine has tested and will gladly support on their servers. The others are plugins that they do not support and will not let customer’s activate. For photographers interested in WP Engine, they do provide migration for free, so if you need a website moved from SiteGround then there are no additional fees. Web hosting for photographers on WP Engine starts at $29 a month. Synthesis is a product of Copyblogger who also developed Scribe SEO. Synthesis prides itself on being the fastest, most secure and with the greatest expertise. Synthesis is a managed Linux solution for WordPress. They do not provide hosting solutions to any other website platform and is a great choice of web hosting for photographers. Its servers are specifically configured for WordPress. The method results in the ability to handle even the highest volume traffic spikes. They eliminate any worry about WordPress performance. With Synthesis, you won’t need to worry about the technical jargon, coding, server management or anything else that is included with having a website. You are promised world-class performance when your content attracts big attention. Because things can happen, Synthesis partnered with Sucuri, the leading WordPress security company, to provide scanning and hack services to each level of hosting. That means you can trust that your site will be safe even when you’re not around to check. Combine the performance and security of Synthesis with the expert WordPress developers that run the business, and you really do have a top-notch management hosting solution. It is important, however, to note that Synthesis provides website migration services for a fee. So if you’re going from SiteGround, for example, to Synthesis, and need assistance with the move it will not be free. Web hosting for photographers on Synthesis starts at $27 a month. In conclusion, if you are a photographer in need of expansion, then both WP Engine and Synthesis are amazing choices. They can be fantastic solutions as web hosting for photographers because they are both the best managed WordPress hosting solutions on the market. In the end, it’s a matter of checking out their websites, features, reviews and chatting with the companies.